Hey everyone! After a fairly mediocre Worlds performance, I’m back and ready to focus my energy on a strong 2017-2018 season. I started off swinging with a League Cup win in my very first attempt, and then added 30 more points with a Top 256 finish in Fort Wayne. I piloted an Espeon list for both tournaments that was very similar to mine and Xander’s Worlds list which, Christopher featured in his latest article. The deck was incredibly strong in my expected metagame, but I underestimated the amount of Golisopod that would be played in Fort Wayne, as well as overestimating the matchup without a copy of Flareon AOR. Since then, I’ve been diving right into Standard. This new format has reinvigorated my drive to break the metagame wide open in a way that other formats haven’t. The set of top decks has been quickly defined, but also very narrowly defined given the seemingly large card pool that we have to work with. The emergence of Gardevoir as BDIF candidate at this early state opens the door for counter decks to be successful, even though it seems really oppressive and nearly unstoppable. Players have been lamenting this format after a single weekend of League Cup results, but I think it’ll turn out to be pretty dynamic. And if this is coming from me, a typical skeptic of new formats, there’s probably some truth to that. For today, I’m going to discuss the Volcanion list I played at a League Cup and some improvements we can make to it. From there I’ll talk about my thoughts on the format as a whole and end with a few concepts that I want to try out in the future. Let’s go. I knew pretty early on that Fire was going to be the dominant typing in this metagame. That’s not a very bold statement to make, but one that might not be as well accepted as I expected. I walked into my first League Cup this weekend to see multiple copies of Metagross and Golisopod decks, reaffirming my decision to run Volcanion. Quite honestly, I probably would have run a Salazzle-GX deck this weekend, had I owned any. I’m unsure if my feelings towards Salazzle are because it’s actually good or because it seems fun to play, but I’ll delve into that later. Most of this list is incredibly standard, but the consistency and thick counts of key cards are what make this deck strong. There’s not a lot of draw in the format so you have to maximize your chances to hit key cards when you need them. I don’t want to run Skyla or Mallow for search options so I need to maximize my Item counts, and you can’t run VS Seeker so you have to maximize your Supporter counts. 4 Guzma was absolutely the right call, and I think I’ll continue to start a lot of my lists out with that count as I move through this format. Some of the more interesting choices are the Jirachi, Oranguru, Nest Ball, Rescue Stretcher, and lack of Energy recovery. 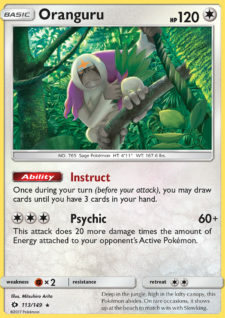 The Jirachi was underwhelming but helps against Gardevoir in theory. Ahmed’s original list (and the one Ryan took 2nd and 1st with at this weekend’s cups) featured at least 2 Choice Band, so you could smack a Gardy for 80 damage while slowing them down with Energy denial and invulnerability. However, I thought Fighting Fury Belt would be more useful overall, so my Jirachi was unable to deal real damage. I think I’d cut it moving forward, but I do want a good option against Gardevoir. I’ll have to test this one more. Oranguru, on the other hand, was incredibly good. It allowed me to play more aggressively, knowing that I could refill my hand at any time. I also was able to dig my way out of N to 1-2 multiple times. The unfortunate thing about Oranguru was that bench space became incredibly tight in any game I started Lele, but it’s worth the spot in the list. Nest Ball was strictly good, giving me more outs to a good T1/T2 Kiawe target. Brooklet Hill might be better in some situations, but I did like the option to get Turtonator, Ho-Oh or Oranguru with Nest Ball. Rescue Stretcher was incredibly solid, letting me recover from nasty Sycamores or reuse Lele later in the game. Most late games come down to finding a Guzma, so having Rescue Stretcher as another Lele out is huge. My main regret about this list was not having enough ways to recover energy. The only way to get them back is with Volcanion, and I often found myself without enough bench space to play one down. Even with 14 energy, I usually was running low by T5, or even earlier if I used Kiawe early. Part of this is due to my inexperience with the deck, as I seldom used Volcanion’s Power Heater early in the game, but I also didn’t usually have the luxury of doing that. I quickly realized that a 3rd Volcanion or a 3rd Float Stone would be essential to the deck’s strategy of powering up 2-3 big attackers early. As for the League Cup itself, I lost round 1 to a rough start against Gardevoir but pulled it back and won 3 in a row against Gardy, Espeon, and Golisopod. I hoped to ID into Top 8 in the last round but was downpaired to the mirror and my inexperience with the matchup handed me a very swift L.
Some things in this list could still change. The 3rd Float Stone might be better than the 3rd Volcanion, or both could coexist if I had space. Oranguru may be superfluous now that I have Starmie to help thin my deck and prevent bad Ns and also provide Fire Energy in the late game. I really like having both, but bench space could be too limited. I would like to put the Nest Ball back in, but all 4 Ultra Ball have to stay to grab Lele. Brooklet took their place, and it can get Volcanion-EX when I need it, freeing me up to grab Turtonator and Ho-Oh with Ultra when I would instead grab an EX. Other options include Fisherman over Starmie, Choice Band over some of (or all of) the Fury Belt and Super Rod over or in addition to Rescue Stretcher. I’ll be trying these all out in the next few weeks leading up to Hartford. I think it’s fair to say that around 75% of Top Cuts at League Cups have been comprised of these 6 decks. If this stays true moving forward, it should be pretty easy to counter most of the metagame. Fire decks should beat everything on this list short of Gardevoir and Greninja, and promo Giratina + Ho-Oh might be enough to beat the latter. Three of those decks are entirely reliant on Abilities, with Volcanion also having a pretty hard time without Abilities, so there’s another weakness to focus on. Another subsection of the decks is the four that literally can’t exist without evolving, so Espeon-EX could prey on that pretty easily. The problem is just beating the other decks that don’t share these same weaknesses. We’ve also seen a ton of cool rogue decks popping up, from the previously seen like Tapu Bulu/Vikavolt, Magnezone/Pikachu, and Rainbow Road to the super crazy like Bisharp/Galvantula, Scizor/Zoroark, and Weavile/Turtonator. I wouldn’t believe anyone who says the format is stale, and I think we’ll see some of these rogue ideas become more mainstream as lists come out and are perfected. The thing I’m most interested about in this format is going to be how much we’ll have to adjust lists to deal with problematic matchups. We don’t have type changers like Flareon or Vaporeon anymore, nor supporter techs like Hex Maniac to turn matchups in our favor. 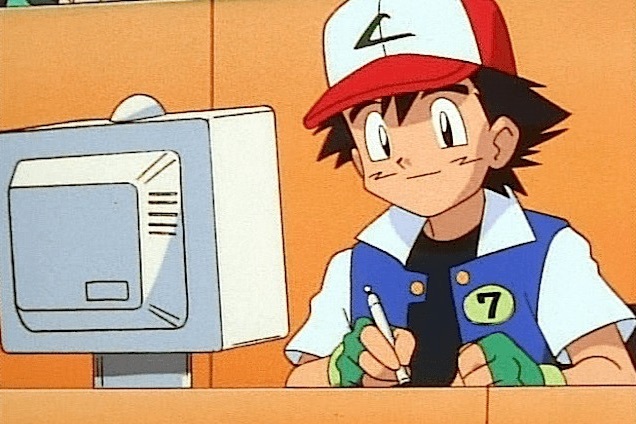 If we can find techs like Jirachi that can give us ways to beat Gardevoir or Alolan Muk to potentially beat Volcanion without having to devote a lot of list space, I think we’ll see the format really open up in the next few weeks and at Hartford. I’ve gotten a lot of questions in the last few days about which decks I think will carry over well from last format (winners) and which will bite the dust (losers). The winners seem to be the decks that I listed above, barring Drampa/Garbodor. The other decks take advantage of a more friendly metagame via cards that have rotated (Flareon, Vaporeon, Forest of Giant Plants) or the new weaknesses that are prevalent (Fire, Metal, Grass). Drampa’s success does surprise me a bit, even though it’s probably the weakest of the 6 top decks. Trashalanche is much weaker than it ever has been with VS Seeker rotating, and the rest of the top decks can all withstand 150-180 from Berserk. My guess as to how Drampa is surviving is as a more toolbox style deck with Necrozma, Tapu Koko, and Espeon, plus focusing on Garbodor BKP. Garbotoxin seems incredibly strong right now, and I’ll be looking to break it as we move forward. Unfortunately, I think Espeon is the biggest loser from the rotation. It loses Flareon AOR to turn Golisopod and Metagross from favorable to unfavorable matchups, and actually is hurt a lot by the loss of VS Seeker. 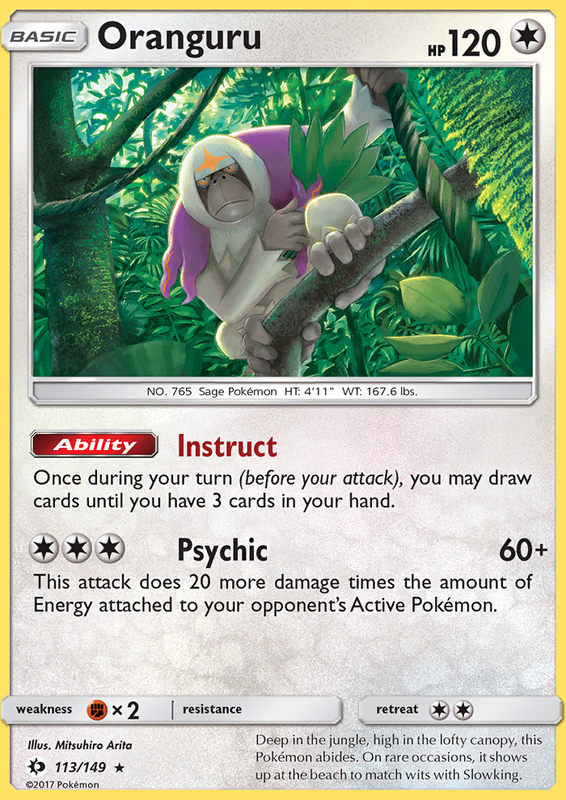 Not only does that weaken Trashalanche, but it also leads to players using more Guzma in their lists. Players will have more outs to confusion and won’t have to use VS Seeker to grab it, again making Trashalanche worse. Other losers include Zoroark (HP is high, everything OHKOs it), Darkrai (same weaknesses as Zoroark), and Decidueye (Forest rotated, Fire is well positioned). I’m not saying these decks are unplayable, but I don’t think I’d consider them without considerable innovation. To conclude today, I figured I’d give you all the lists that I want to start testing after seeing League Cup results from this weekend. I’m not sure if they’re good enough to bring to a tournament, or if their weaknesses can be overcome, but there’s plenty of time to find that out between now and Hartford. My thought behind playing Salazzle at all is that it might be the best way to beat Gardevoir. Regular Volcanion struggles with setting up the last attacker to deal with Gardevoir’s 230 HP, and often can’t even get it to the point where it can OHKO the attacker that will otherwise run it over. 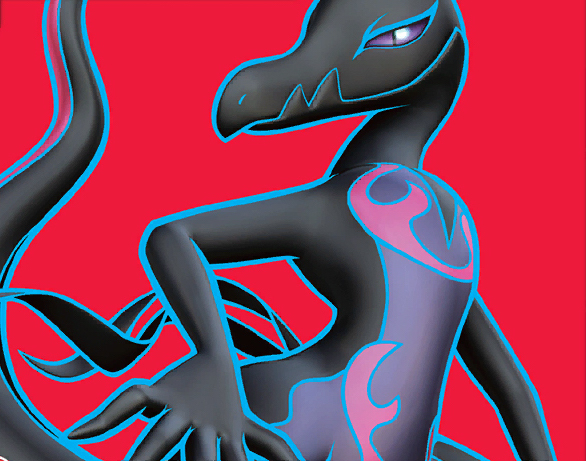 Salazzle needs only 2 energy for its attack, and can reach the magical 230 after you’ve taken 4 prizes (with a Choice Band). 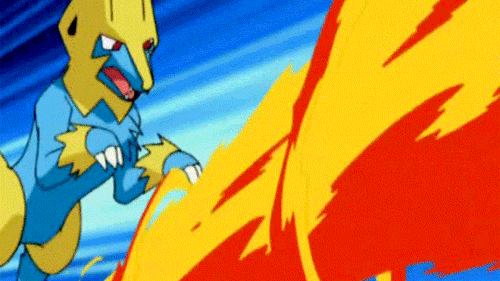 This list tries to also deal with Greninja through overwhelming them with Ho-Oh plus Giratina. In theory, they’ll never be able to even 2HKO a Ho-Oh since you shut off their Giant Water Shuriken and you aren’t weak to them. The rest of the metagame either folds to your consistent damage output or is just weak to Fire. This is easily my frontrunner for the format as it stands right now, though we’ll have to see if it’s actually as consistent and as good against Gardevoir as I think. First off, shout out to Will Stevens who piloted this list to a Top 8 finish at a League Cup last weekend in Missouri. He posted his list in a Facebook group which I have adapted, mostly to remove the 3 Pokémon Catcher he was rocking. I’ve run Catcher in everything from Night March to Plasma in the last few years, so I’d love to keep them, but I don’t think they’re necessary in a deck like this or a format like the one we’re in. I’m more concerned with setting up, so I’ve included extra Supporters instead. A build like this should deal incredibly well with all of the Evolution decks in the format, as you can just spread 60-80 on all of their relevant Pokémon with a few turns of attacking from Tapu Koko and Ninetales, then Espeon just cleans up their board. You also have a ton of raw damage with Alolan Ninetales-GX, a Safeguard ability from the other Ninetales, and draw power with Octillery. This deck just has a lot going for it. In theory, my biggest fear for the deck is actually Volcanion. They should be able to blow up all of your attackers and outspeed you. I actually don’t think the other Ninetales is that impactful in the matchup since baby Volcanion can OHKO you with Steam Artillery + Fighting Fury Belt/Steam Up, or even Power Heater + 3 Steam Up. One quick thought for dealing with that matchup is an Alolan Muk line which can protect your attackers from easy OHKOs, especially if they favor Fighting Fury Belt over Choice Band. Bench space and the lack of a surprise factor after putting a Grimer on your bench might stop it from being as good as I want it to be, but I’ll have to test it to find out. I’ll be looking at cutting N #4, Brigette #3, Alolan Ninetales #2, or Lele #3 to make space for a Muk line. Other options for this deck could include Brooklet Hill and Giratina promo. Brooklet Hill probably isn’t necessary or even useful at all with 2 Brigette, but could open you up to cut Brigette down to 1 or even potentially 0. It’s definitely the best Stadium to combo with Giratina if you need the boost to beat Greninja. This last list was piloted by Karl Blake, a great player from the UK. This time, I haven’t changed any cards, as I’m less comfortable with the idea of this deck, but there are definitely some changes to consider. A Garbodor line could fit well in this deck if you’re having trouble with some of the Evolved Pokémon that have Abilities like Gardevoir or Metagross. You don’t even need Float Stone because you have Fairy Garden! Giratina could counter Greninja or Alolan Muk could counter Volcanion if you only find yourself having problems with a single deck, and Garbodor is unnecessary otherwise. Nest Ball is an unorthodox potential addition, but could help as you have to guarantee 2 Geomancy targets as soon as you can attack. You do already have 2 Brigette, but maybe Nest Ball could let you cut to one or even 0 so you could play more aggressively. If you can dig through your deck to use Elixir before you use too many Geomancy, you have a higher chance of hitting them. Not using Brigette on T1 makes that strategy just a little bit more effective. Nest Ball will also help when you have to dig for an Energy T1 to attack if you don’t already have one in hand. In theory, this deck is just the best turbo deck in the format. The format is slower than it has been in a while, giving you time to use 2+ Geomancy along with hitting 3 energy attachments and hopefully at least 2-3 Max Elixir. There’s a good chance that you’re hitting for 200+ damage on T3, which should overwhelm anything. From there, you can even build up to an OHKO on Gardevoir and Metagross. On paper, I don’t actually know why this deck loses to anything except itself through dead draws, or maybe 1 prize attackers that consistently OHKO it. 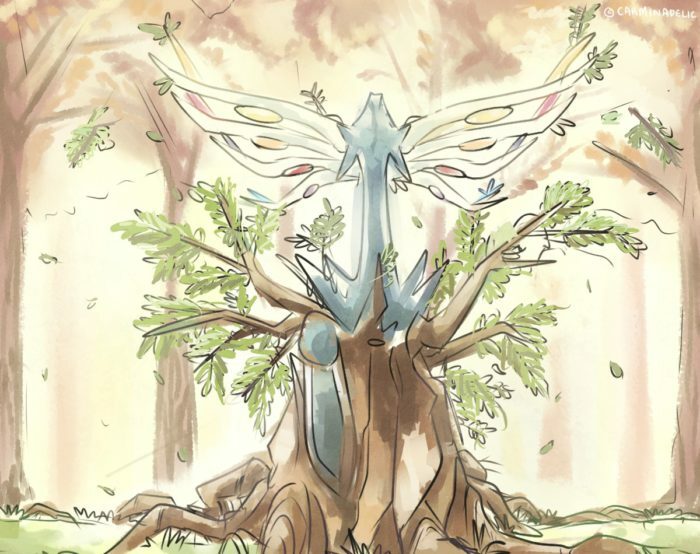 Since I’m not sure those exist (other than Garbodor GRI), Xerneas could just run over the whole format. As you can tell, this is the most excited I’ve been about a rotation or new format from the addition of a new set in quite a while. Where some players see a well defined and boring format, I see a metagame ripe for exploiting. There’ll be a lot of tournaments in the next few weeks and I’m very interested to see what decks will be successful. I’ll be in Hartford and Daytona in a few weeks, plus tons of League Cups in the other weekends. Good luck to you all as you start the hunt for a Worlds Invite!